I’ve just looked at our clinic calendars and despite us seeing 200 young people this week, our waiting lists for new clients are currently stretching out to around 2-3 months. More than ever, there are children and young people facing challenges – and families who are looking for support and answers. One of the major issues facing young people is anxiety. Anxiety is the most commonly diagnosed mental health condition in children – and certainly it makes up a large proportion of the families who work with us. Unfortunately, services can’t always keep up with demand for services in supporting kids with this issue – and getting help for children and young people who experience anxiety can take some time. The good news is that there are many things parents and carers can do at home which reduce anxiety and worry in children – and slowly over time – increase their confidence. If you have a child who struggles with worry and anxiety – and you are either not able to get to an appointment or not sure whether you need it yet – consider the following ideas. The part of our brain which monitors threat takes notice of our body language, how we act, speak and where we go and don't go. It then uses this information to help gauge how much threat we are actually experiencing. When we ACT in brave and confident ways, our brain says "huh, everything must be okay" - and gradually we FEEL more confident. When we ACT in brave and confident ways, we have experiences which tell us we can cope. Brave and confident behaviour helps us feel less anxious. This is true for children too. The more we a child/teen acts in brave and confident ways, the less anxious they will feel. If this child was not anxious, what would we see them doing or saying in these situation? And what about in this situation? As you can see, I am trying to identify brave and confident behaviours for us to work on. For example, at school drop off - it might be the child having their head up, saying good bye in a confident voice and walking over to friends. When Mum goes out at night, it might be a child who says “have a good time” and only calls/texts Mum one time. I then a) explain to children why this brave behavior is important (it will slowly make you feel less afraid), b) break the behaviour down into small steps, and c) use rewards and encouragement in order to help the child start to act this way. For example, for a child who needs help acting more confidently with peers, we might have a “ladder” on a piece of paper in which they get a stamp every time they look at someone’s eyes and say hello. 2. Slowly reduce "scared behaviour"
In the same way that acting more confidently increases confidence, acting in anxious ways over times actually increases anxiety. In other words – when children avoid situations which make them anxious, they will become more anxious. One of our jobs as parents/carers is to carefully take note of any situations our child is avoiding. This avoidance might be obvious (ie they never go near a dog) or it might be subtle (they avoid looking at something, or try to distract themselves in the presence of something). This doesn’t mean that everything a child avoids needs to be faced. One of my children would rather die than go on a roller-coaster and frankly I’m fully supportive of his avoidance of these contraptions! However, when the avoidance is about something that would normally enrich a child’s life – this is when it is a problem. For example when I’m working with children, I’m always on the lookout for avoidance of social situations, learning opportunities and new experiences – and I talk with parents/carers about how we reduce this avoidance. This can be done gradually if needed ("you just need to go for 5 minutes", "you can take your ipad while you are there", "you can go and sit in the library for a while in the morning if you need", "you only need to say one sentence") – but it is important. If we just hope the child will “grow out of” acting in an anxious way, we run the very real risk that children will become more anxious over time. Anxiety is part of being human. And unfortunately for some people (kids and adults) – it is more debilitating than for the average person. Around 30% of people are “emotionally sensitive” with strong emotional reactions, and this often emerges in childhood or adolescence. Life can be pretty tough for people like this. One of the things we can do as parents/carers is to support our children to find constructive ways to live with anxiety and worry. There are many strategies we can offer young people – including those listed above – such as relaxation, exercise, social support, calming words, reducing opportunities for uninterrupted rumination. It is important to ask children themselves how they have managed worry in the past, how they think they could manage it, how they think other people manage it - and to encourage them to have written strategies and plans. Sometimes this might just be a set of "coping cards" in a pencil case, a reminder on a phone or a set routine for bedtime worries. 4. Be prepared to not be able to "fix it" with "reasons not to worry"
Our first response when children tell us they are worried or anxious is often to tell them why they “shouldn’t” be afraid. We tell them not to worry “because…..”. Unfortunately this often doesn’t work very well. There are two reasons for this. First, for many children, their fear or anxiety is not entirely based on rational arguments – it’s “just a feeling”. For example, we work with many children who are intensely anxious about physically separated from their parents (often called separation anxiety). Many of these children can’t explain why, or what they are worried about – they just feel anxious and uncomfortable when they are away from their caregivers. We usually can't fix this problem by giving kids reasons to be calm - because they are not worried about any particular problem - they just feel anxious. The second reason why using logic doesnt always work is that we do live in an uncertain world – and scary and difficult events do occur. Children know this. A very bright child I was working with recently was extremely anxious about his parents getting cancer. Mum/Dad had talked endlessly with him about their current good health – to no avail. He was still worried because he knew that 1 in 3 Australians will get cancer in their lifetime. Instead of trying to tell a child not to worry and to endlessly reassure them - sometimes we need to just be with them. Remember the last time you felt worried about something at work/home/with your family, and a friend "just" empathised? If you are like most of us - it probably helped. Empathy is helpful for children too. I’m sorry you are worried about this. I can see you are anxious - may I give you a hug? I think lots of kids feel worried about this sometimes. I've worried about that too. Although as parents/carers we need to support kids to cope with anxiety - it is not possible - nor our job - to remove all worry and anxiety from childrens lives. But it is possible - and our job in part - to care for them as they experience it. On our online centre - Calm Kid Central - there is a video for kids called "Our Danger Checkers" which teaches children about what worry is and how to manage it. There are also videos for parent/carers about the kinds of questions to ask children when they get worried. 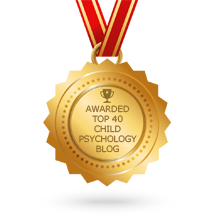 Calm Kid Central also provides you with the opportunity to ask our child psychologists unlimited questions online and get answers within 48 hours – as well as videos for 5-11 year children to watch and learn about managing worry themselves. It is free for Adelaide based families with a health care card (and if you don’t live in Adelaide, you can just sign up for a month for $28).